I’m getting excited for my upcoming Japanese-inspired 30th birthday bash with sumo wrestling and sake bombs. Yay! 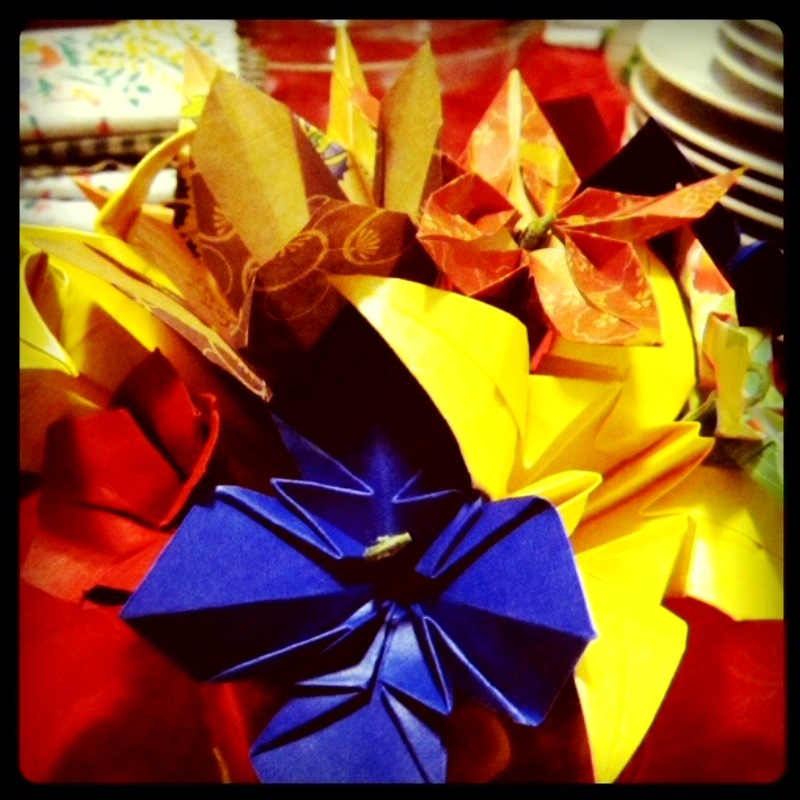 For the last week, there has been lots of cleaning, grocery shopping, but the most time-consuming project—origami flowers! 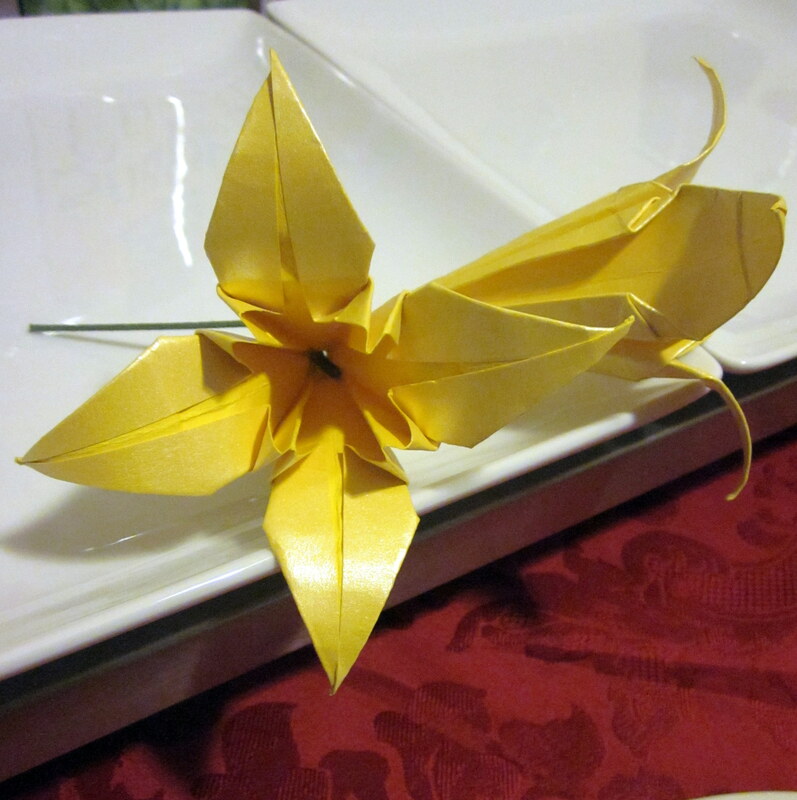 Now I truly appreciate the couples/brides that make 1000 origami cranes for their weddings. 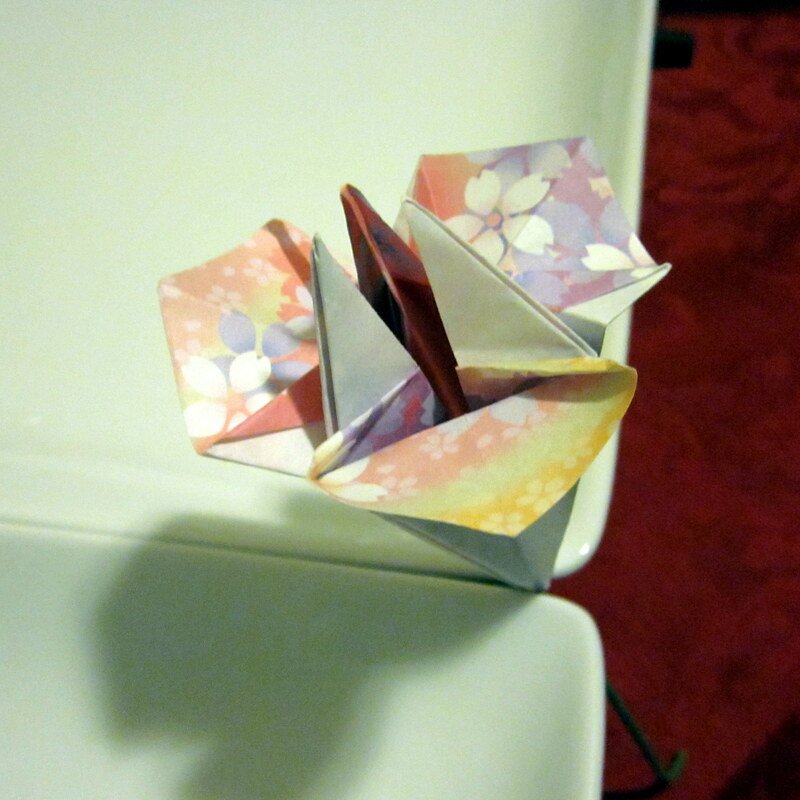 I only made 30 origami flowers, but it took 15-20 minutes each. 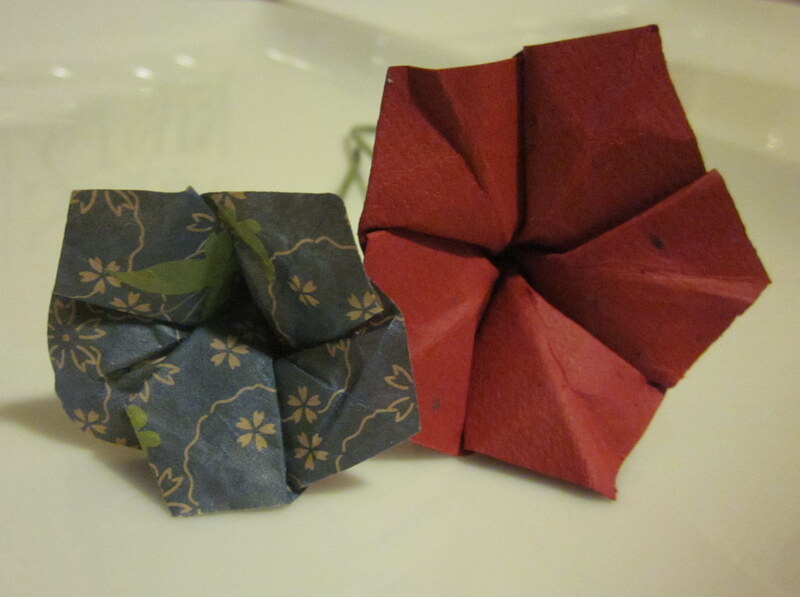 I’ll be happy if my life is free of paper-folding for a while. Do NOT use cardstock/thick scrapbook paper. I love the double-sided prints and figured it would be a little harder to fold, but I didn’t account for the paper ripping. Choose easy flowers and test them out. 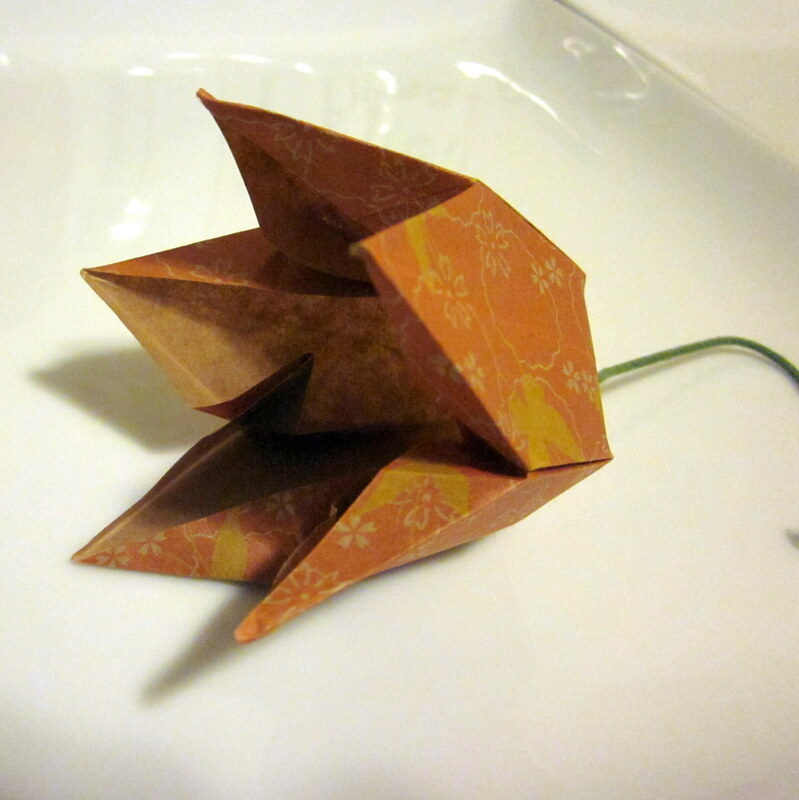 I adore the look of kudasama flowers, but these require too much effort. Buy sharp paper scissors. Use those weekly 40%/50% off coupons from your local craft store to get them. They are totally worth it! 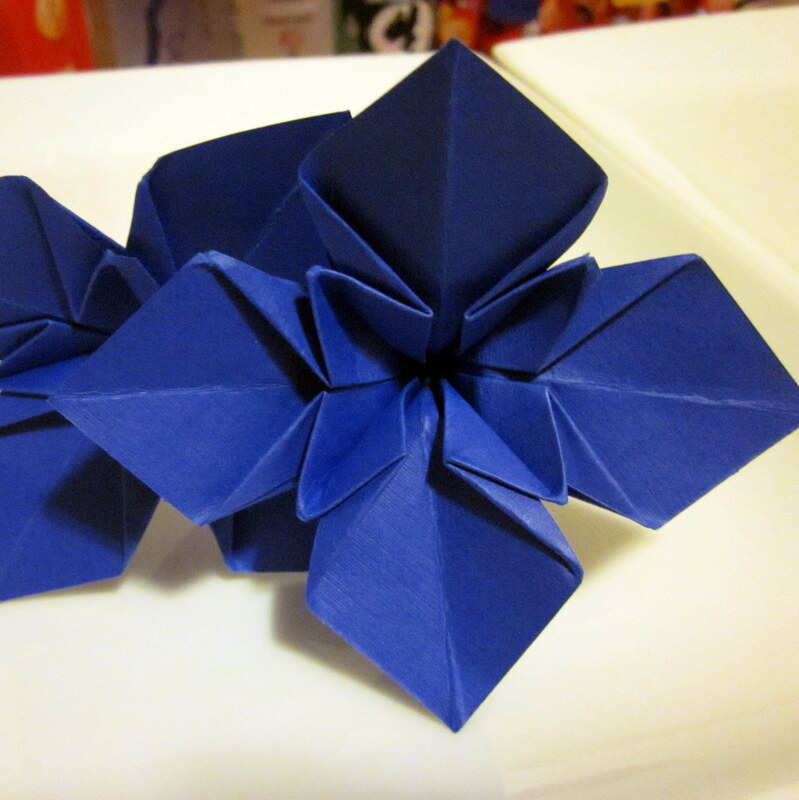 I arranged 10 origami flowers in each square vase. I used rocks and red floss for accents. I like how happy they look, but I’m not sure they were worth the effort. 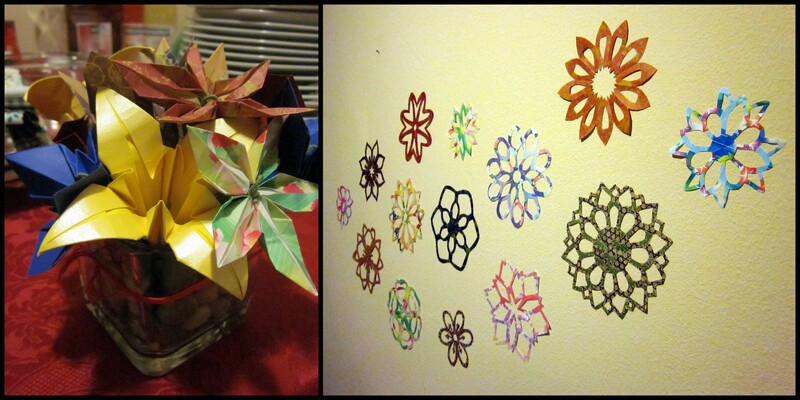 My kirigami flowers turned out just as nice and didn’t take anywhere near as long. Lesson learned. 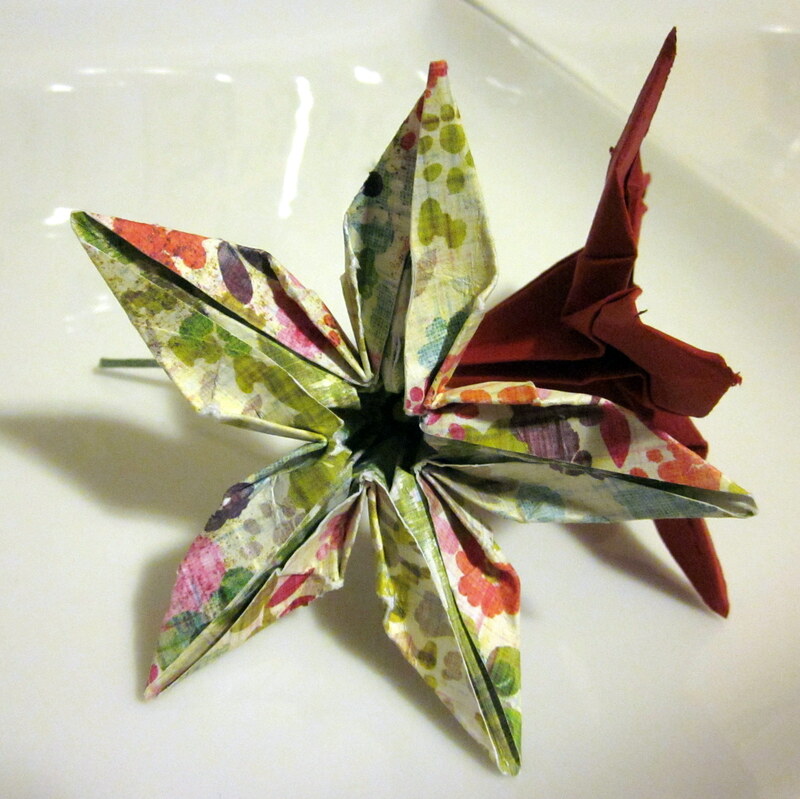 This entry was posted in Birthdays, Crafts, Decorations and tagged Origami, Paper Flowers. Bookmark the permalink. 20 minutes a flower does seem like alot. I love how cheerful they look. The great folding and cutting! Where can i find the pattern for the first iris? the link doesn’t take me anywhere and I’d really love to make it.0.